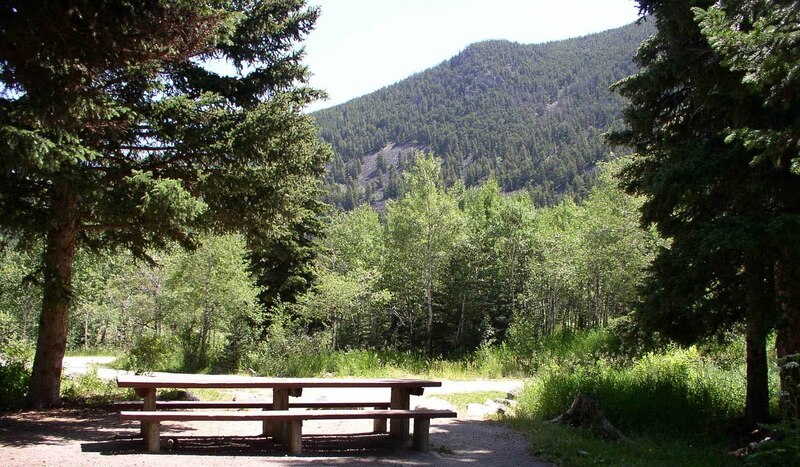 This small, wooded campground lies alongside the main fork of Rock Creek and offers rainbow trout fishing. Lake fishing, as well as kayaking and canoeing, is available 8 miles away at 5 acre Greenough Lake. The Beartooth Wilderness can be accessed from nearby trail heads by hikers, and limited trails in the surrounding national forest for mountain bikers, and 4x4s. Corral Creek trail head is just across the road from the campground. A variety of wildlife, including grizzly bears, deer, eagles, and elk, make their home in the surrounding area. The campground is situated along the Beartooth Highway, deemed by the late Charles Kuralt as ?the most beautiful drive in America.? This gateway to Yellowstone National Park is a scenic byway that crosses 10,900?+ Beartooth Pass on the Beartooth Plateau. Numerous lakes, alpine meadows, and scenic vistas await the adventuresome with late spring skiing for the super-adventurous.